Multiplex Realities is two one-to-one performances working with imagination, senses and virtual reality technology around perceiving multiple perceptions and layers of reality simultaneously. It works on a sensorial and social level during a meeting between the performer and the audience. It works simultaneously as a live art installation piece as the actions happening inside the piece can be followed from an audience outside. There you can follow two bodies negotiating a meeting between them and how the development of that meeting changes the physicality of their bodies. Multiplex Realities - is an umbrella title for the construction of reality through social and sensorial experience. It is also the title of a performance of two separate experiences existing simultaneously in two different rooms parallel to each other. You will enter into this experience one person at a time. Together we will be moving, talking, walking, communicating, shaping, adapting, creating and oscillating inside different parallel realities which are constantly evolving with time. The sensorial, social and imaginary perceptions of reality will be interleaved into one experience where truths and structures are challenged and potential futures are constantly changing. 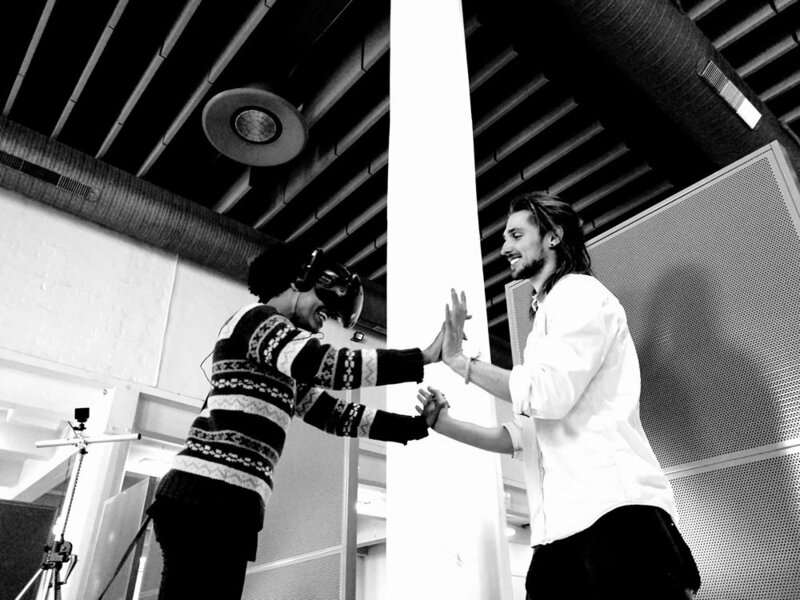 Thanks to: Weld, Love Olsson, Marko Permanto, Erik Blåsjö and to everyone who has participated in the process. Photos by: Erik Annerborn, Noah Hellwig and Miranda Abrahamsson.